The opportunity to see life untouched reminds you that complex communication is not a human-specific feature. Leopards are generally seen as solely solitary felines, but we stumbled across a territorial fight that showed just how complex their interactions are. 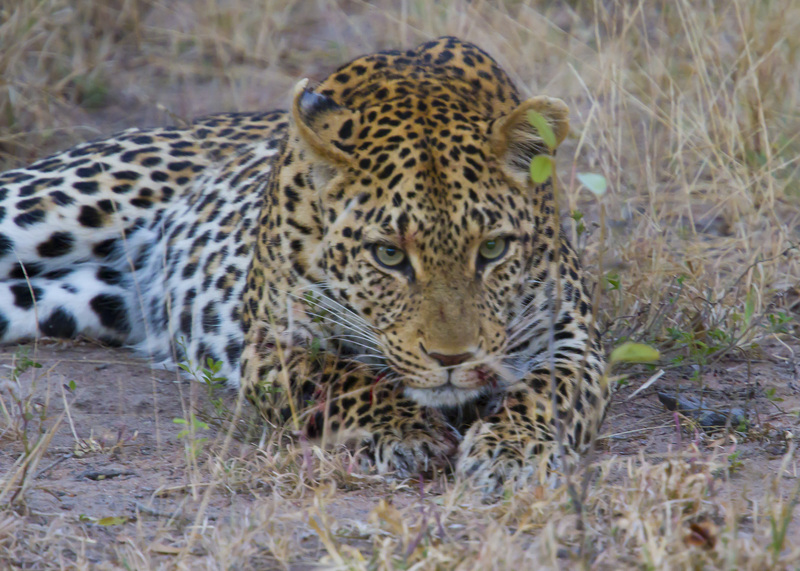 We arrive and the guide blazes us through the bush crashing over trees as he hurriedly welcomes us to the game reserve: “This is Ngala!” We stumble upon two leopards that had been tracked for the day, apparently fresh out of a territorial war. 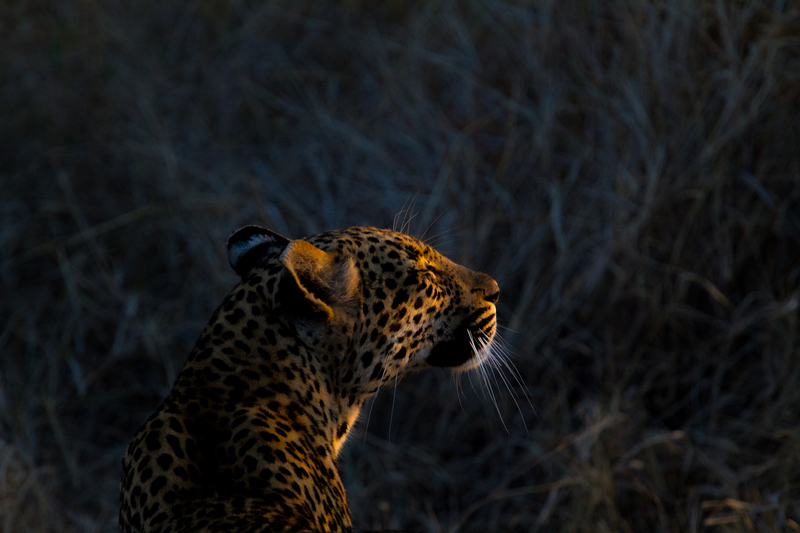 The adult leopard pictured above hid two cubs in the trees behind her and growled at her aggressor, portraying a large profile to signify dominance. The younger adversary picture below was demonstrating a defiant defeat: head down to signify she wouldn’t attack but eyes glaring in aggression. She was visibly pregnant; she had to establish a territory for her soon to be cubs and was perhaps hoping to claim this land for herself. 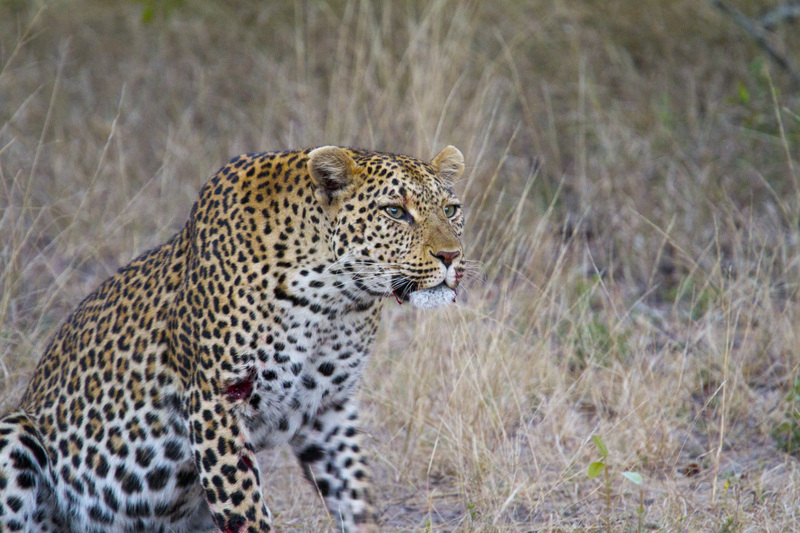 The stand-off continued into night and we followed them with spotlights until the aggressor disappeared into the bush. The next morning we found the cub of the larger female sitting in the clear. Their territory had not be overtaken. 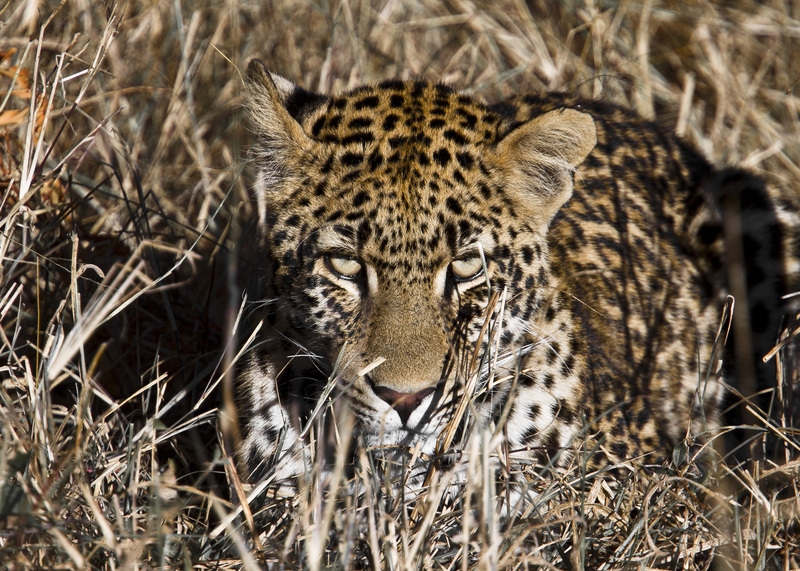 Later in the week, we again found the new female in the area still wandering and still pregnant. Her pace was quick and desperate, and her frequent stops signified exhaustion. Staring into the setting sun, her search for a home continued.